6 pcs per pack 54x31mm Arrow Head Hammered findings in Silver lead free Pewter. Great for Earring or add to your designs. 16 pcs per pack 30x17mm narrow size of Crucifix printed Medugorie Oxidized Silver Lead free Pewter. 8 pcs per pack 20x15mm Oval First Communion charm in Antique Silver lead free Pewter. 4 pcs per pack 40x30mm Filigree Flower Heart Pendant Antique Silver lead free Pewter. 6 pcs per pack 49x24mm Longhorn Head Antique Silver Lead free Pewter. 7 pcs per pack 31x26mm Angel Charms Antique Gold or Silver Lead free Pewter. 36 pcs per pack 20x3mm One side Small Arrow Charms Antique Silver Lead free Pewter. 20 pcs per pack 18x10mm Eres un Argei Angel Charms Antique Silver Lead free Pewter. 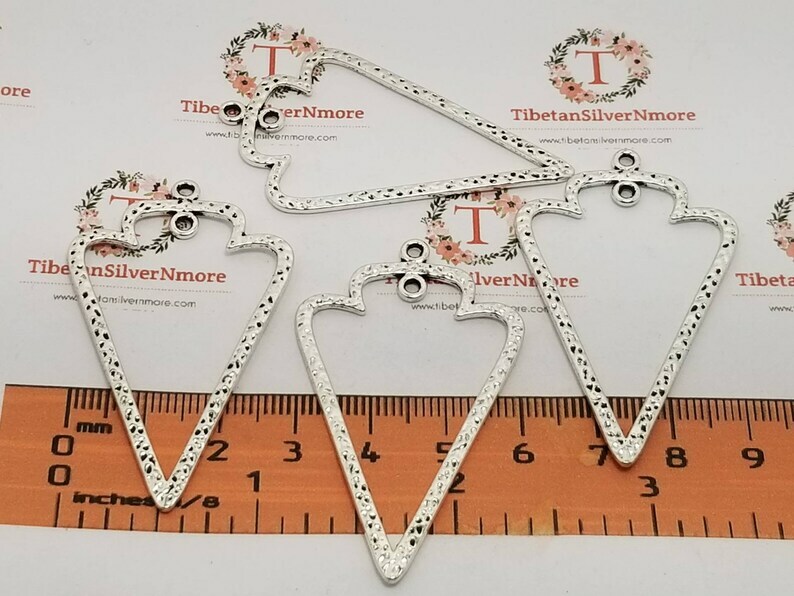 7 pcs per pack 61x11mm Reversible Long Arrow Pendant Antique Silver Lead free Pewter. 13 pcs per pack 14x8mm Solid Football Charms Antique Silver, Gold or Shiny Silver Lead free Pewter.